To improve users' understanding, Apache Inc. has developed information pertaining to the use, care and maintenance of Apache’s assemblies. 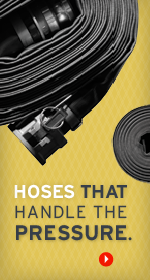 Hose are designed to convey products and to operate in a dynamic work environment. This operation can present a serious safety hazard if safe operating procedures are not followed. It is important to remember - all hose will fail in time! This information provided is designed to supplement safe operating procedures, not replace them. All hose and couplings are designed for specific uses and it is critical for the user to understand how and what is important for the safe and correct use of a hose assembly. Users of industrial hose should have in place, a preventative maintenance program designed to identify potential problems before failures occur. All users of industrial hose should know the information presented concerning the intended service and application of any particular hose before using or requesting a hose. Every industrial hose user should have in place a safety procedure to implement in the event of a hose failure. The information is intended to be a guide; it is the responsibility of the user to apply this information in the appropriate manner to ensure safe operating procedures. This information is also not intended to create any warranties, expressed or implied. No warranties, expressed or implied, have been created by any statement or language contained here. Any warranties, including but not limited to, any implied warranty of merchantability or implied warranty of fitness for a particular purpose that may have arisen by operation of law or otherwise are hereby disclaimed and are null and void. Consistent with this policy Apache has prepared this technical information to assist our customers and users of Apache hose assemblies with information directed toward maximum safe hose assembly life and user safety. This information addresses Apache’s “Duty to Warn” responsibility regarding misuse of these products.